Servicing digital organs and pipe organs is a complex task that should only be assigned to factory trained or certified technicians. 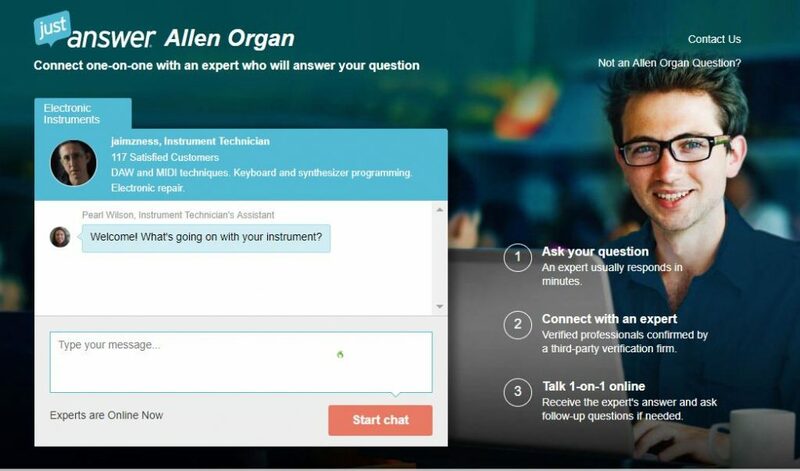 Organ owners need to research the credentials of any technician engaged that is not directly related to the organization from which the instrument was purchased. However, justanswer.com has never been trained for servicing organs nor does it have any connection with Allen Organ Company. Customers who contact justanswer.com will ultimately be asked for credit card information. I totally agree! For your own protection, if you don’t know who your technician is for a particular brand, contact the manufacturer so you get someone that knows your product and brand. And to facilitate matters, locate your model number and serial number. That will speed things up. I can’t count how many times I’ve been called to service an organ and the church or owner has no clue to the brand or model number! I’m not an organ tech,but I have ran across this website a time or two,..I wouldn’t trust it. !